Discover our exciting offers to exceptional events, services, and special packages. Year round, we provide guests with opportunities to enjoy momentous occasions through authentic experiences in fine dining, accommodation, and amenity. Exclusive to InterContinental Osaka, our Signature Dining programme enhances your culinary experiences. Membership provides preferential reservation services, unique dining experiences, esteemed-guest recognition, and exclusive offers. Our dedicated team is ready to help you get started today so you can begin taking advantage of Signature Dining. Our Afternoon Tea set is a stylish specialty at 3-60 and features our very finest confectioneries, seasonal sweets, cakes, and tarts. 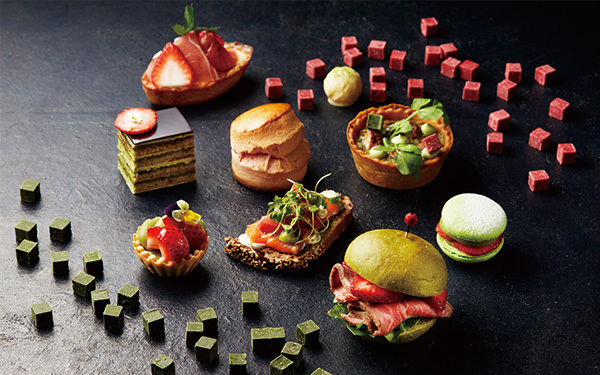 Gorgeously presented, our savoury treats are specially created in-house. Afternoon Tea features our original high-grade TWG tea, blended with hints of apple and strawberry in a smooth Ceylon base. Invite your friends for an unforgettable experience for Afternoon Tea at 3-60. 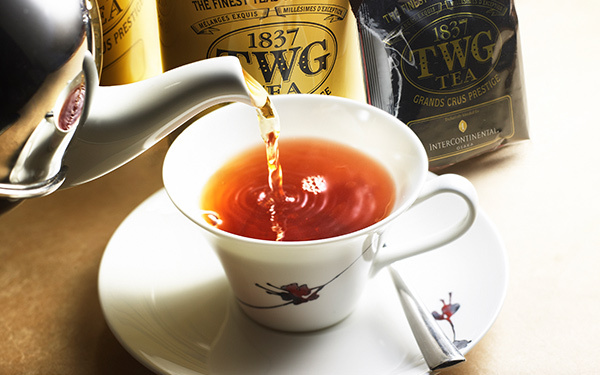 The high-grade tea brand TWG Tea Company blended the original blend tea especially for the InterContinental Osaka. Enjoy this original blend that adds the flavours of strawberry and apple to a Ceylon tea base, which is one of the most popular of TWG Tea's fine tea range. Smoking is not permitted in 3-60. Receiving 2-hour free charge of parking fee for guests spending 3,000 yen or more, and receiving 4-hour free for guests spending 6,000 yen or more. *Every seat has a time limit of 2 hours. *Prices are inclusive of consumption tax and subject to 15% service charge. *The menus or prices may be changed without advance notice.